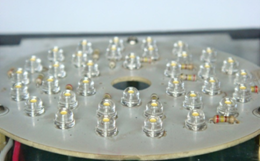 free-light uses 36 LEDs in its 12V solar lights. Other “normal” solar lights use 1. Which would you rather have to light your way? We believe brighter is better! Learn more about free-light solar lighting and why we believe ours is the best. If you've tried free-light solar lighting products, please leave us a comment. We love hearing from readers!